Having problems surviving the night? 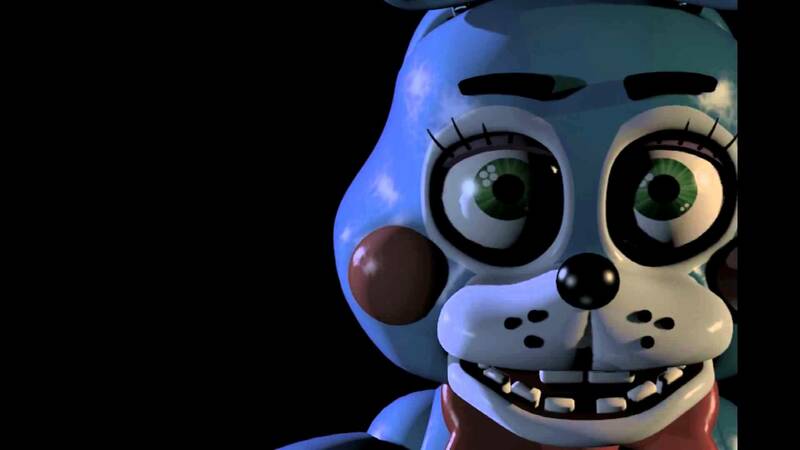 These tips will get you through to 6 A.M.
Five Nights at Freddy's 2 is a tough-nut to crack. Any error or lapse in attention can mean a game-over as one of the jovial animatronic characters enthusiastically kills you. Here are a series of tips to make sure you get the drop on them before they get the drop on you. Audio clues are the only way to know some of the animatronics are coming after you, making listening to the game carefully key to beating it. You may want to wear headphones while playing to make sure you can hear every clang and thud. Make sure you listen to the guy on the phone. Although it sounds nonsensical at times, his messages deliver hints and story context. Make sure you listen at least once each night as the messages change day to day. 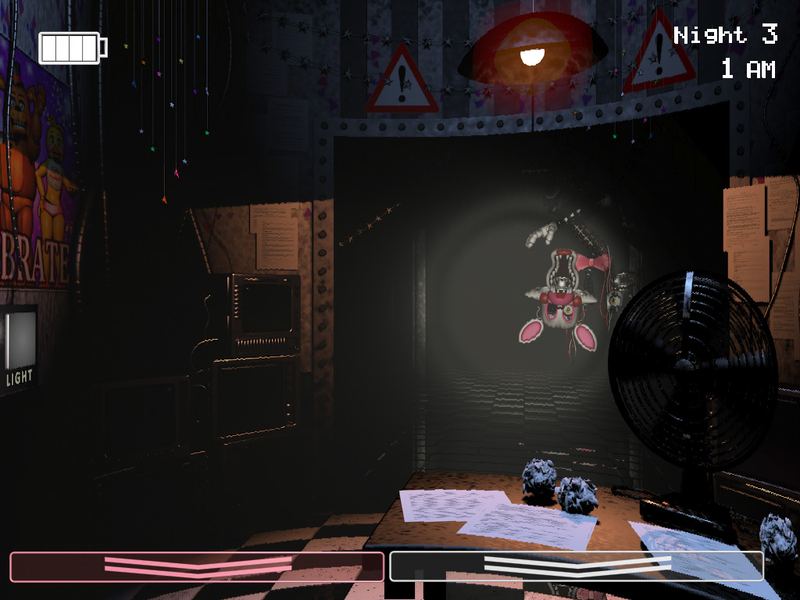 Each animatronic has a unique behavior. To win the game you'll have to learn which deterrent works against them. Your mask will work to trick them in many cases, but some will only be chased off by your flashlight. The one animatronic that is a constant looming threat is The Marionette. On camera 11 there is a music box that you MUST keep wound. If you let the box run down it will release The Marionette who can go anywhere. He will not be deterred by the flashlight or mask, so if the music runs out, it's game over. Animatronics will be using the hallway in front of your office quite a bit. Don't panic. Unless an animatronic is actually in your office there is no sense in using your mask. Camera 11 is the only camera you should really need to view. The animatronics movement is random and they can only get to you if they're in the office anyway so don't waste time fiddling with the cameras. Get in the habit of putting your mask on as soon as you come out of the camera screen. This can prevent you being attacked in case an animatronic has snuck up on you. 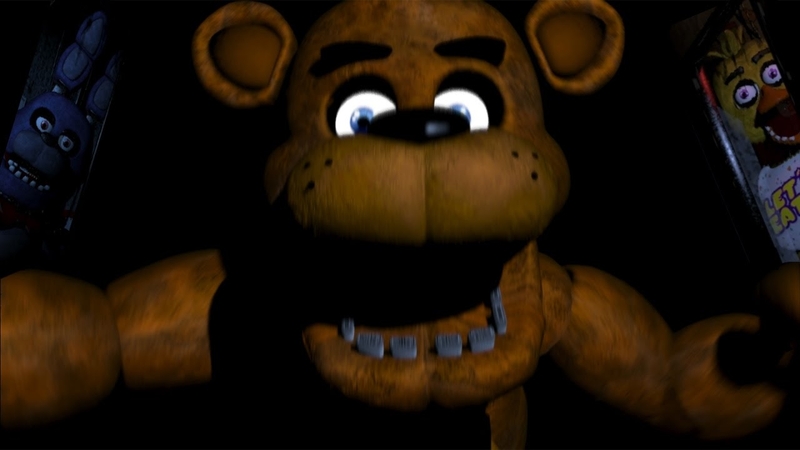 Five Nights At Freddy's is definitely a study in trial and error. Each game will end up with puppets randomly appearing and attacking so there is no pattern that can be memorized to get through the game. Although the going may get hard sometimes, using these tips and your wits will help you survive your stint at Freddy's.